When you think of a “magical girl,” what do you think about? A sugary sweet young woman with a penchant for all things cute? Maybe Sailor Moon and the Sailor Guardians come to mind. Or maybe you’re more of a Cardcaptor Sakura person, and your idea of magical powers is focused solely on the cards of the Clow. However you imagine the trope, there’s probably always one constant, right? The day-to-day adventures of the girls and even the monsters they fight are cute, and they’re always meant to vanquish evil and negative thoughts. You’d be hard pressed to find real-world angst or anything other than after-school special lessons learned, or would you? 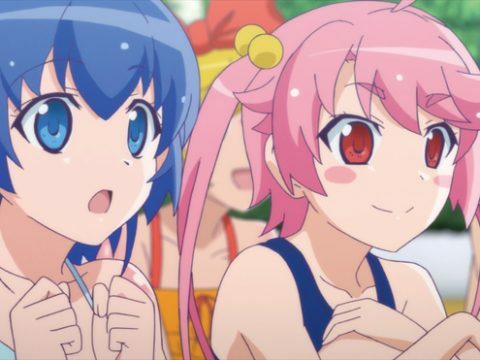 If you’ve been away from the anime landscape for some time or if you’ve not watched a magical girl series since Sailor Moon or Wedding Peach, you’ve got a lot to catch up on, namely the fact that typical magical girl media has changed rather drastically. It’s done an about face, at least in the case of several of its popular and up-and-coming titles. 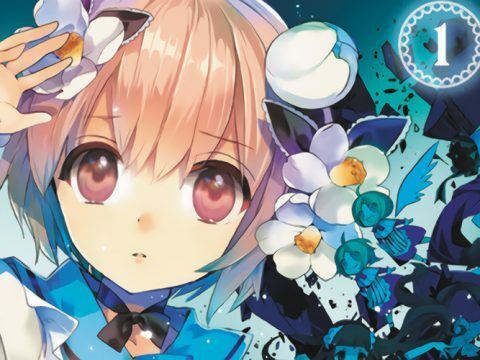 From Puella Magi Madoka Magica to the newest title Magical Girl Raising Project, there’s a running theme: Darkness, betrayal, and existential terror. And weirdly enough, it totally works. If you’ve grown tired of the sugar and spice and everything nice that the genre has to offer, you’ll want to turn to these decidedly darker series for a slice of sinfully decadent magical girl cake. Beware, however, of the spoilers present within the article, especially if you’re not as well versed in the genre as you think you might be. The latest anime series to join the dark parade, Magical Girl Raising Project follows a young girl named Koyuki Himekawa. From childhood she’s grown up admiring magical girls in their purest form, aspiring to be just like them. She’d never admit it to anyone, but she has secretly wished to become one several times over. That’s what makes her such a great candidate for the real-life magical girl game that’s being played out in her neighborhood. One night, while Koyuki is playing the smart phone-based game in her room, she’s greeted by Fav, the game’s mascot, and is told she’s been selected to become a magical girl. Of course, this isn’t just a silly promotional event or anything like it. It’s for real, and it’s for keeps. She’s been selected to become a real-life magical girl along with a host of others. However, when she receives her special powers, begins to commune with the others chosen, and sees there’s an element of competition to the girls that mascot character Fav doesn’t explain outright at first, things take a turn for the worse. It’s soon decided that there are too many magical girls for the neighborhood, and so the herd must be thinned. This is done by forcing the girls to compete against each other for “magical candies,” which eventually culminates in someone losing the miniature competition. Anyone who’s cut from the competition will lose their powers as a magical girl. You might assume this means simply being stripped of magical abilities, but in reality it means death. In real life. When the news reaches the rest of the girls, plus the fact that candies will be able to be transferred between them, all hell breaks loose in what seemed to be a wholesome and pure dream come true, revealing the darker side of Fav’s plans for the game’s participants, as well as the girls themselves. Magical Girl Raising Project is the latest in a long line of titles that have adopted a similar story style, but it certainly isn’t the worst. It’s introduced its own twists here and there, with relatable characters and even a magical girl who’s a male before his transformation. It bucks magical girl convention in several ways, so if you’re looking for a recent way to hop into the darker side of the genre, you can’t go wrong with Magical Girl Raising Project. 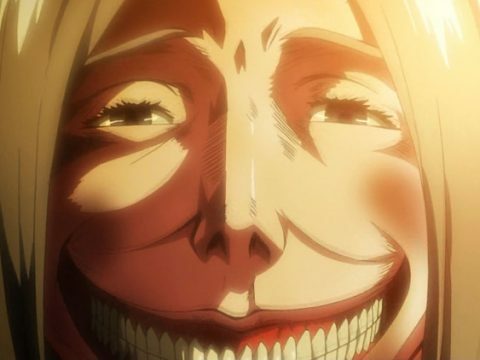 It’s airing right now on Crunchyroll. You might look at this series and not think much of it, but there are plenty of darker elements at play here, and it’s a more recent series, as well, from a couple of years ago. It follows a student named Yuki Yuna who’s part of her middle school Hero Club. She’s happy with being a “hero” for those around her. The regular, everyday Hero Club members get caught in a blinding white light one day while helping others, and then find themselves with special powers and transformations that will allow them to help those in need out in the world. Of course, being a magical girl isn’t what it’s cracked up to be. Each of the girls loses some kind of physical ability, such as Yuki Yuna losing her sense of taste and even her legs later in the series. Mimori Togo loses her hearing, and Fu Inubozaki loses her vision. Some girls are affected by more ailments than the others, but all of the disabilities inflicted upon them are meant to be permanent. 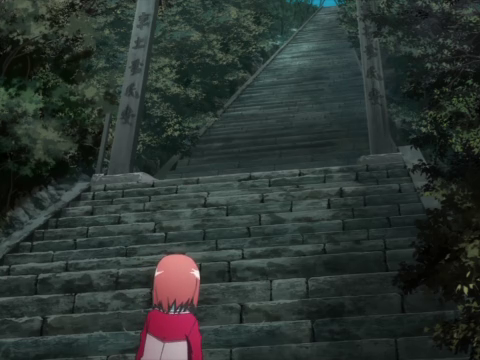 While the series does end up making some of these issues irrelevant by the end of the show, the thought that helping others and using a special magical form would force you to live the rest of your life without a certain physical ability like walking or your vision is massively, incredibly dark, and that’s why Yuki Yuna Is a Hero! works so well. If you decide you want to watch Magical Girl Raising Project, you’ve got to take it all the way back to Puella Magi Madoka Magica, to which Magical Girl Raising Project owes much of what makes it unique. Madoka is one of the greats as far as the “darker side” goes, and one you’ll undoubtedly hear about in every anime circle until the end of time. With its countless manga spinoffs, novels, games, and movie adaptations (maybe not countless, but there sure are a lot!) you get to learn more and more about the characters as well as the world they all live in. It’s certainly one you’ll want to dig into further. 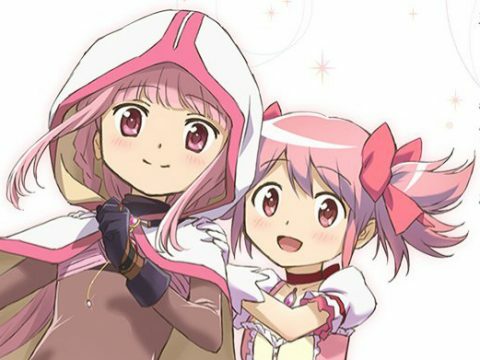 One day Madoka Kaname and her friend Sayaka Miki meet a strange creature named Kyubey, who’s impossibly adorable, but is hiding a terrifying secret. He offers a contract for the girls to gain magical powers so they can fight against terrifying creatures known as witches in return for one special wish: anything they desire. Several magical girls are recruited by Kyubey to go out on witch hunts, and while they’re dangerous and treacherous affairs, they don’t seem too bad … until the bitter truth comes out. Main character Madoka Kaname keeps crossing paths with Homura Akemi, who seems to be trying to stop Madoka from making the magical girl contract with Kyubey at every cost, but it’s not exactly telling as to why she’d care so much. It turns out that the Soul Gems entrusted to magical girls, or the very source of their power, are actually the girls’ souls. What’s more, if the Soul Gems become tainted, they can actually transform into the very witches the girls have been fighting against. There’s an extreme amount of existential terror and dread in this tale, and it’s absolutely worth delving into, especially if you grew up with the sugary sweet pop of magical girl anime we spoke of earlier. Madoka Magica is considered one of the greats, so make it your business to give it a look. Want a heaping helping of more dark magical girl goodness? You don’t have to look far. This is a trend that doesn’t seem to be going anywhere. If you’re interested in traveling down the rabbit hole, just make sure you’re emotionally prepared to do so first.